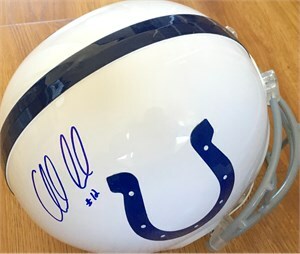 Indianapolis Colts Riddell full size replica helmet autographed beautifully in blue marker by superstar quarterback Andrew Luck. 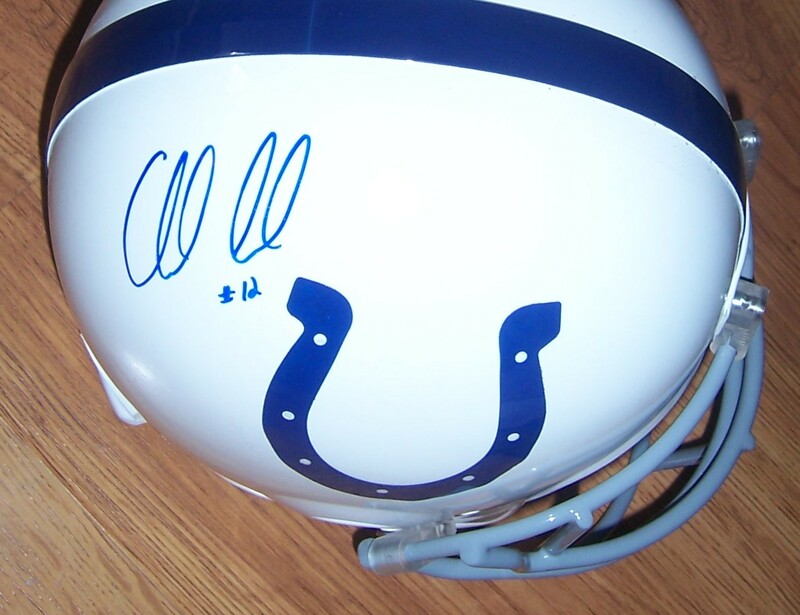 Obtained in person on the Stanford campus while he was still playing for the Cardinal, which is why it has his older, more vertical signature. Also, he rarely adds his jersey number 12 when he signs now but did back then. With certificate of authenticity from AutographsForSale.com. ONLY ONE AVAILABLE FOR SALE.